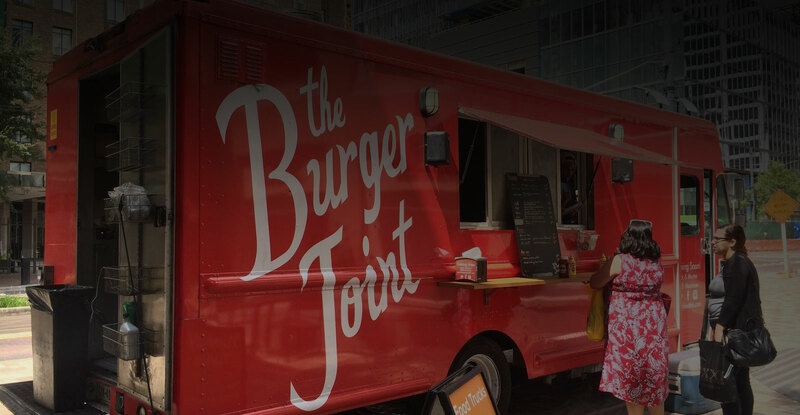 The Burger Joint food truck is a great way to have burgers and more cooked onsite at your next special event. Birthdays, Weddings, work events, holiday parties, you name it, The Burger Joint is there to add a tasty touch. Monday – Thursday $1,250 minimum up to 3 hours. 8.25% tax applied to the base total. Act of god clause – In the case of a tropical storm, earthquake, any major natural disaster or any major act of god, the client will not be responsible for payment. Customer agrees to provide private parking for the event. The parking area must allow for clearance of the following dimensions: 28ft long x 10ft wide x 12ft high.